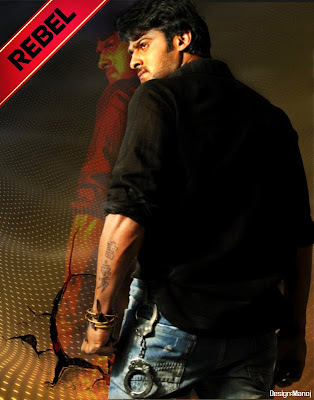 Actor Prabhas is doing a lots of homework for upcoming film, Rebel. The actor is confident that Rebel is a kind of film which will work wonders for him, sources say. The handsome hunk is pairing up with Anushka Shetty. Deeksha Seth is another girl who will be seen playing the second heroine. After Kanchana, Lawrence Raghava is directing Rebel with renewed vigour. It may be said that after so many offbeat films in all these years, Lawrence will be seen doing a really big-ticket commercial entertainer with a top class actor like Prabhas in the lead. The film's subject is rumouredly very hatke in nature too. Krishnam Raju will be seen in a significant character role in the film. Though some versions of the film's story did the rounds recently, it is said that they are concocted and have got nothing to do with Rebel.